Part of the Barbican's International Beckett Season, the Sydney Theatre Company presents their take on Samuel Beckett's controversial Waiting for Godot. 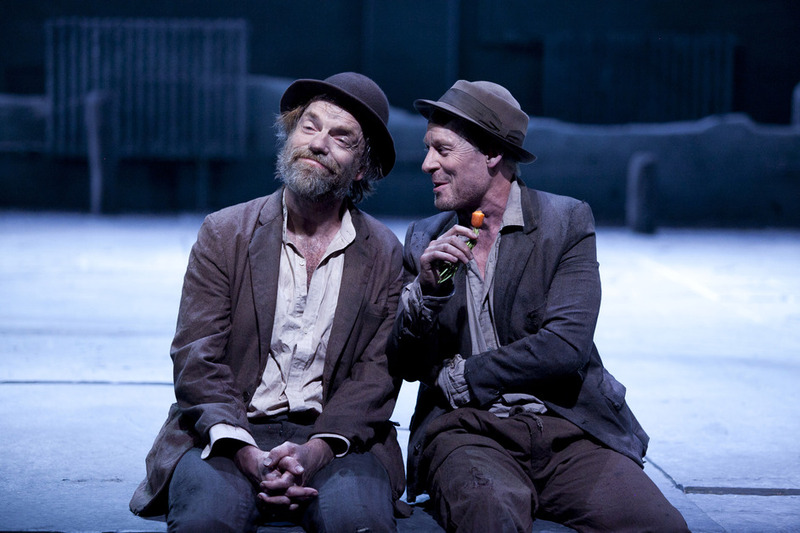 Quintessential comedy duo Richard Roxburgh and Hugo Weaving star as Estragon and Vladimir, who, burdened with aching feet and bladder problems, pass the time near a tree while they wait for Godot. Joking, bickering and musing, the pair are only interrupted by brutish Pozzo and his hapless servant Lucky. The Australian cast also include Olivier Award-winning Philip Quast and Luke Mullins, recent recipient of theBest Male and Best supporting Male at the Helpmann Awards. What are the best dining options near Waiting for Godot London? Waiting for Godot gyms, sporting activities, health & beauty and fitness. The best pubs near London Waiting for Godot. Waiting for Godot clubs, bars, cabaret nights, casinos and interesting nightlife. Where to have your meeting, conference, exhibition, private dining or training course near Waiting for Godot. From cheap budget hotels to luxury 5 star hotels see our special offers for Barbican Centre hotels, including Apex London Wall Hotel from 88% off.